Despite being a pioneer athlete and civil rights trailblazer, Althea Gibson and her legacy still remains unknown for many current sports fans. To change that, a new feature-length documentary called “Althea” is set to premiere later this spring. Director Rex Miller found the inspiration to start the project from a photograph of Gibson standing next to his mother Millicent Miller taken in 1960. Though the film is completed, Miller and producer Elisabeth Haviland James, best known for the Peabody Award winner “The Loving Story”, are still seeking funding to mainly pay for rare archival photos used in the film. A fundraising campaign is underway. ATN spoke to both James and Miller by email to find out more about the film. ATN: Several previous films, books, T.V. 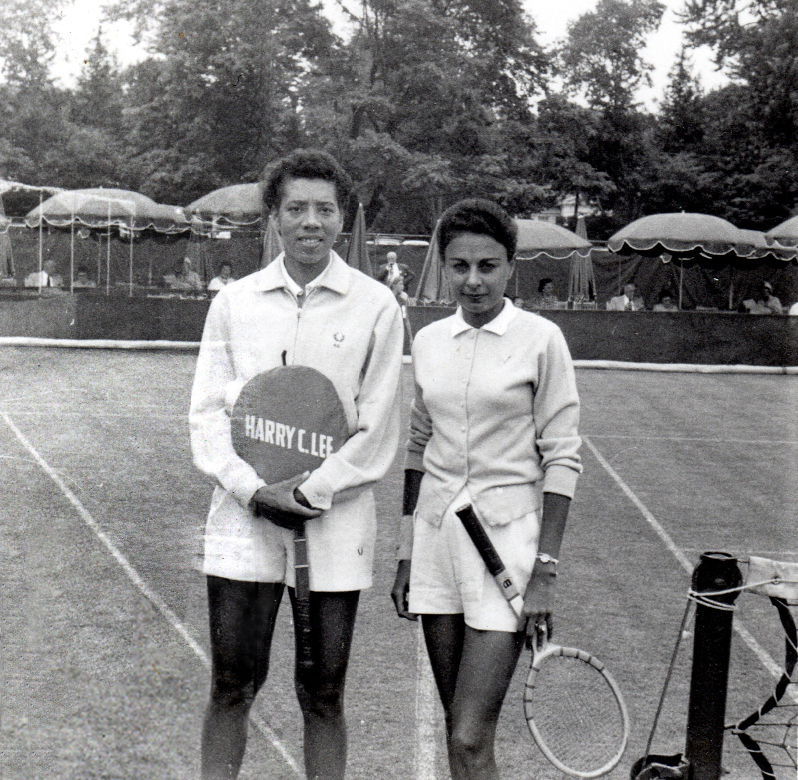 shows have chronicled Althea Gibson’s life and accomplishments. But there’s never been a feature length documentary made about her to my knowledge. Are you surprised it’s taken this long to finally make it happen? Elisabeth: Althea Gibson’s life is compelling, so yes, I’m surprised that we are the first to make a feature documentary about her. But, I’m also aware that she is a member of two groups often ignored by mainstream media – women and African Americans – so I’m not shocked. Our film is truly independent; so far we have done it without the support or capital of the mainstream media backers. Therefore we have been able to be creative and allow the story to evolve naturally. But, without independent filmmakers, there are a lot of great stories, both historical and contemporary, that would go untold. ATN: For those unfamiliar with making documentaries, explain why it is so important to have archival footage, which is what the bulk of your fundraising is for? Rex: Use of interesting archival material, used in fresh ways, is one of the ways a story can be brought to life on the screen. It really brings the viewer back in time, and into the world of the character. One of my film mentors always tells me, “SHOW me, don’t TELL me.” Meaning, instead of just having a “talking head” TELL you what happened, archival SHOWS you. By using an interesting news-reel clip, or a documentary that was made in the 40’s, or some home movies shot by Althea’s practice partner, all of which we have incorporated, it brings the story ALIVE. You are transported back in time. Elisabeth: The archival material we are using in the film is comprised of three main components: photographs, film and audio clips. 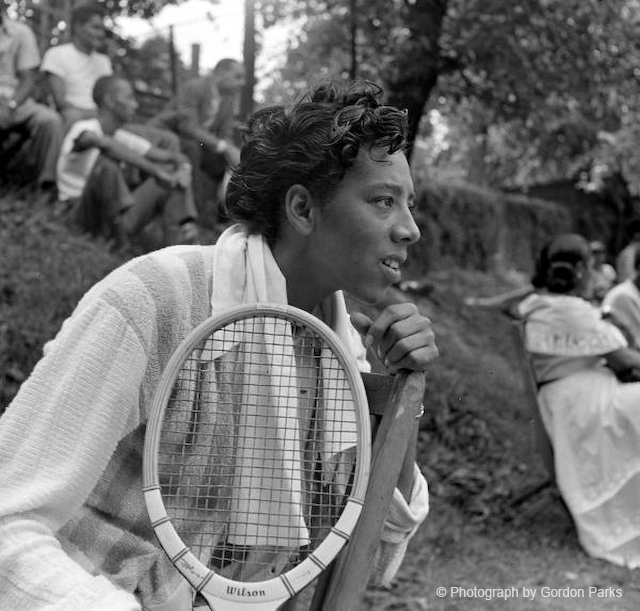 We are lucky that the press covered Althea Gibson in the 1950s. In addition to the “typical” source material one might find for a historic documentary, we have unearthed some real treasures – including home-movies of Althea, photography of Althea and black-tennis by the iconic photographer Gordon Parks, a set of incredible images by photographer Genevieve Naylor, audio clips from the dinner and radio broadcasts around Althea’s ticker-tape parade, her appearance on the Ed Sullivan show, and an interview with the legendary Edward Murrow – lots of material that has been hidden away for decades! However, in order to use these primary materials to bring her story to life (instead of talking heads or experts) we need to license it from the owners – some have a price tag as high as $60/second to use! This is the last hurdle we need to clear in order to release the movie. ATN: What are your long-term goals for “Althea” after it appears in film festivals? Rex: We are in touch with various broadcasters, to find the right broadcast fit, to reach a wide and diverse audience. We plan a small theatrical run in a few markets, in addition to DVD sales and streaming/downloads (Netflix/Itunes, etc). Our most important long-term goal is our educational/outreach initiative. A lot of energy has already been put into partnering with many educational institutions and sports organizations, on both the grass roots and national levels. We feel this film has a lot to offer young people, from junior high school through the university level, as Althea’s story touches themes in sports, civil rights and women’s issues, as well as espousing all kinds of character issues: hard work, overcoming obstacles, etc. Plus, a lot of players out there today can learn from watching her game–serve and volley, all-court, attacking style. To find out more on how you can help the film, visit their fundraising site here.